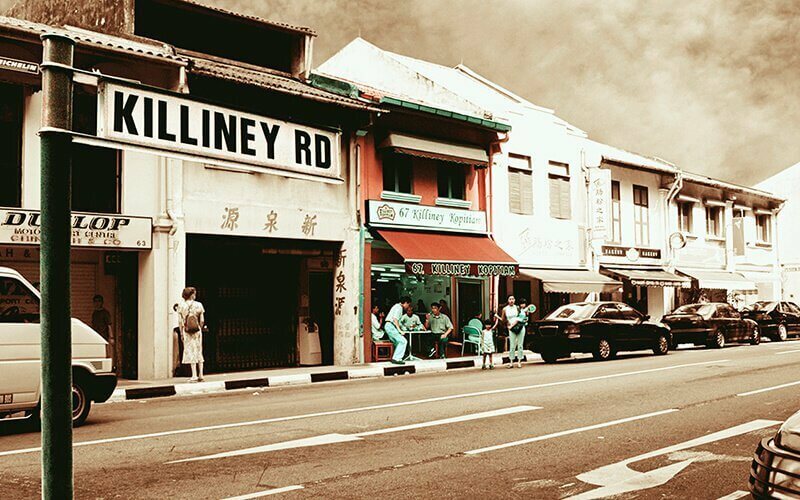 Getting its name from its origins on Killiney Road, Killiney Kopitiam serves up traditional Hainanese kopitiam fare. With its shop front dating back to 1919, this kopitiam combines history and modern design with its menu of local delicacies. Patrons can reminisce to the Good Ol' Days over cups of white coffee, plates of traditional char-grilled roti bakar, laksa, mee siam, fish ball noodles, and more.